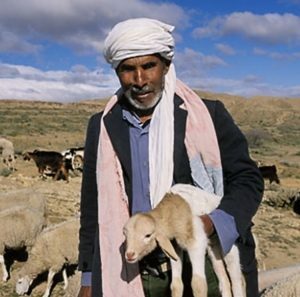 The first of these is that shepherds in the Middle East break the leg of a wandering lamb to keep it close by. And being close to the shepherd makes the lamb very affectionate. This does not happen and there are no traditions or incidents known of it happening. In fact there are a good number of reasons why it would not happen. It is simply a manufactured myth. 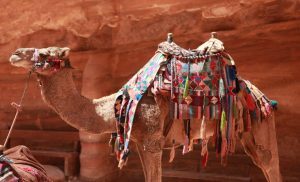 The story is lovely for preaching because it talks about how a camel cannot get through the small door into a city With all its merchandise and it’s back so the Kamel driver hast to remove all of the wealth from his back so he can stoop down and we go through the small gate. However, there is no historical, written or archaeological evidence there was ever such a gate. The camel was the largest thing people usually saw and the eye of the needle the smallest therefore it made an excellent visual image about how a rich man could into heaven by offloading his wealth. But the idea that the “eye of the needle” was a gate is a myth. 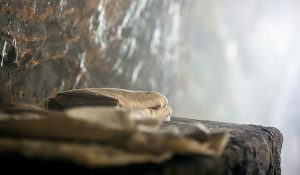 The Gospel of John tells us that the napkin or face cloth of Christ was rolled or folded up in a place by itself. Some have invented a custom which never existed, that a man would crumple up his napkin and toss it aside if he was done with dinner but would fold it neatly and set it aside if he was coming back. Therefore, since Jesus‘s face cloth or napkin was folded up it was a signal that Jesus would return. First, this assumes that the burial face cloth is similar to that which would be used at a meal and that rolled up or folded in the Tomb is what someone would do with a napkin at a table. Second, even if we presume it is a table napkin or that it was folded up as one would do at a table, there is no historical or cultural evidence that this custom ever exited or took place. Even if there was such a custom of folding a napkin and setting it aside to indicate you’d be back (which there is not), it’s a big stretch to apply that to the tomb of Christ. It, like the other three, is a myth. Presumably wool is not enough to keep sheep warm so the have to stay home during winter. Not true. It can get cold in Bethlehem and on rare occasions I’ve even had a snowball fight with a local children. But Bethlehem is not Alaska and the temperatures are usually very mild even in December. I am here now walking around with only a light jacket and it’s almost New Year’s. Even in inclement weather there are plenty of caves outside of Bethlehem and in a few days we will have Mass in Shepherds Field where the shepherds kept the ship overnight on the first Christmas Eve. Caves are abundant and on a cold night sheep can enjoy the warmth of the caves. With my own eyes I tell you, sheep are in the fields eating year around. There’s an old saying that if you say something often enough it becomes true. However, even though these things are said often enough, they are NOT true. If you’ve heard of any other “truths” like this that you think might be a myth, let me know. "The first of these is that shepherds in the Middle East break the leg of a wandering lamb to keep it close by. 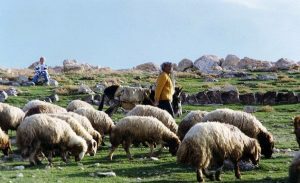 And being close to the shepherd makes the lamb very affectionate"
There is a book called "A Shepard looks a Psalm 23." He IS a Shepard and DOES dis-locate a wondering sheep's leg to illicit obedience. It is true a broken leg would require putting down the animal. Not very cost effective to a business. It is a short read (yes it is Protestant) you may have not heard of it. STEVE RAY HERE: John, I have a copy of Keller’s book in my library. He does NOT mention breaking or dislocating the leg of a lamb. He talks about using the rod, but never mentions breaking the leg of a lamb. Thanks for sharing though. Hence the metaphor makes very good sense as told in scripture. Good article. But, as the date of Christ's birth: Not knowing the actual date but in need of replacing the pagan festivals of the winter solstice, it was decided that the date of celebration would be then. There was never any assertion by the Church of any particular date. There is a substantial probability that the date was in July of the year 4 B.C because of a celestial anomaly of alignments that could have produced an appearance of a single start pausing over Bethlehem, though the instruments for measuring the brief pause likely did not exist then. "Even if there was such a custom of folding a napkin and setting it aside to indicate you’d be back (which there is not)…"
But there is such a custom. From my mother who learned it from hers, I learned it as a child, taught my children who taught theirs. I never heard my mother or grandmother (both pious women) liken this to the burial cloth of Christ, rather, it was described as "proper etiquette." STEVE RAY HERE: Thanks for your comment Carole. It is a wonderful tradition your family has. However, my point was not that some people today don’t have such a tradition. My point was that there is absolutely no evidence that such a tradition was from ancient Israel and no indication at all that such was the purpose of the folded napkin in the tomb.